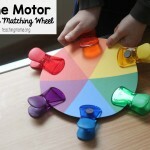 Fine motor skills are the actions that are performed in the small muscles in the hands, fingers and wrists. 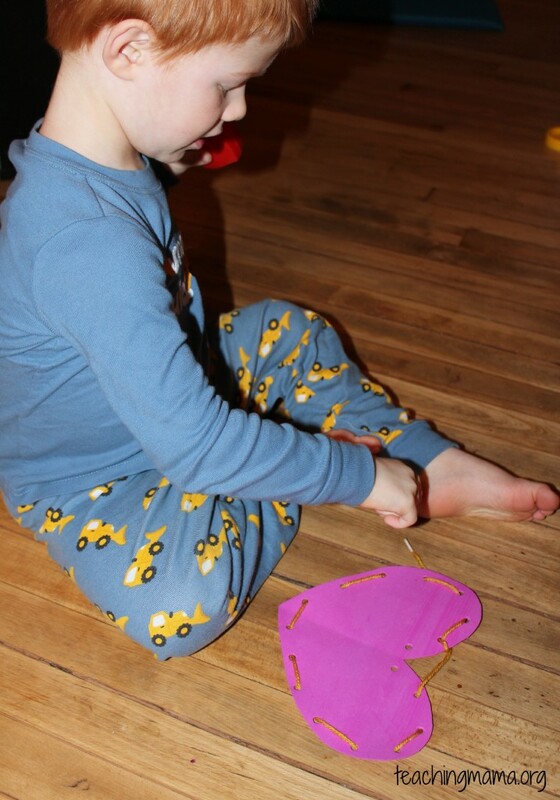 Your child practices using fine motor skills when holding a pencil, using a pair of scissors or lacing their shoes. 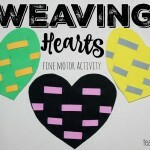 Fine motor skills develop through practice. 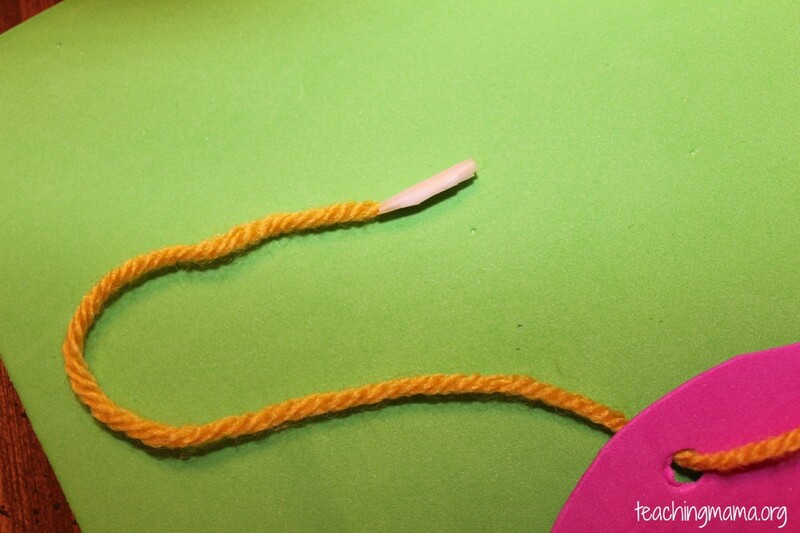 Today’s fine motor skill is focused on lacing. 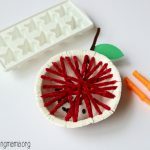 This is a great activity for preschoolers and easy to create at home! 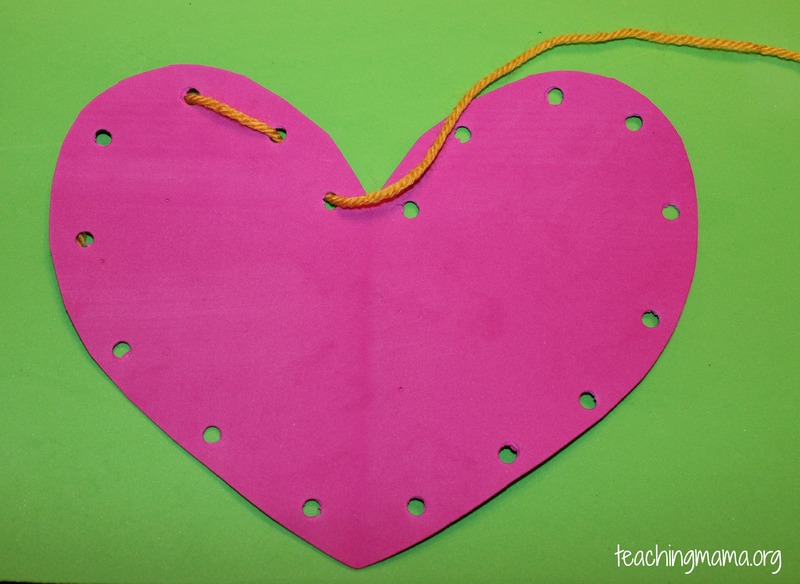 To prepare the activity, cut out some hearts. 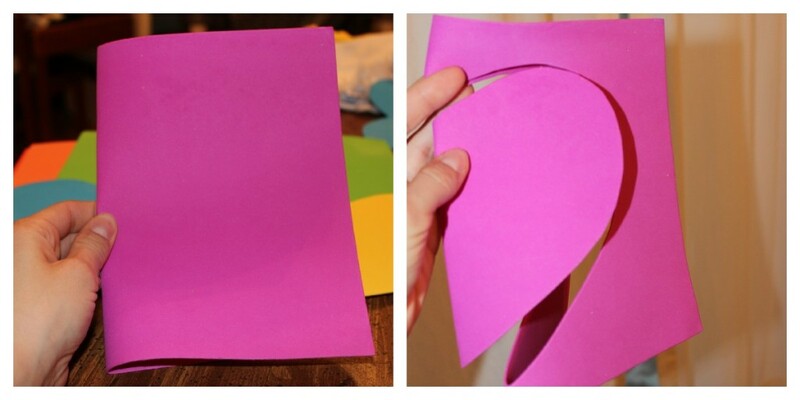 I just folded my piece of foam in half and cut out a half heart. 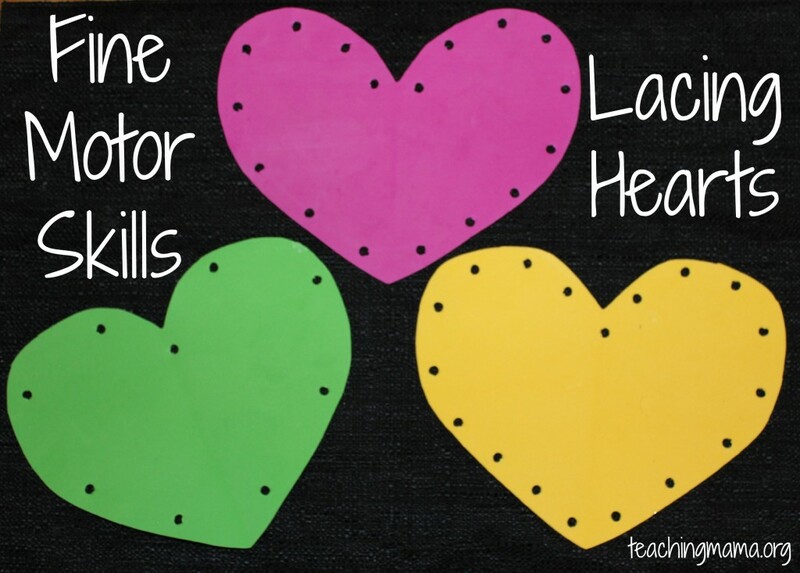 Next take your paper punch and make holes around the heart. Then you add in your yarn or string. In order to help the yarn stay together and not fray, add a piece of tape to the first part of the yarn. That just helps your child out and eliminates frustration. This was tough at first for my oldest. 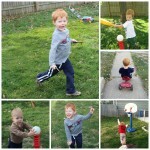 After I showed him how to do it, he started to get the hang of it. We will be practicing this again! Another thing that he had to practice was figuring out which hole to put the yarn in. 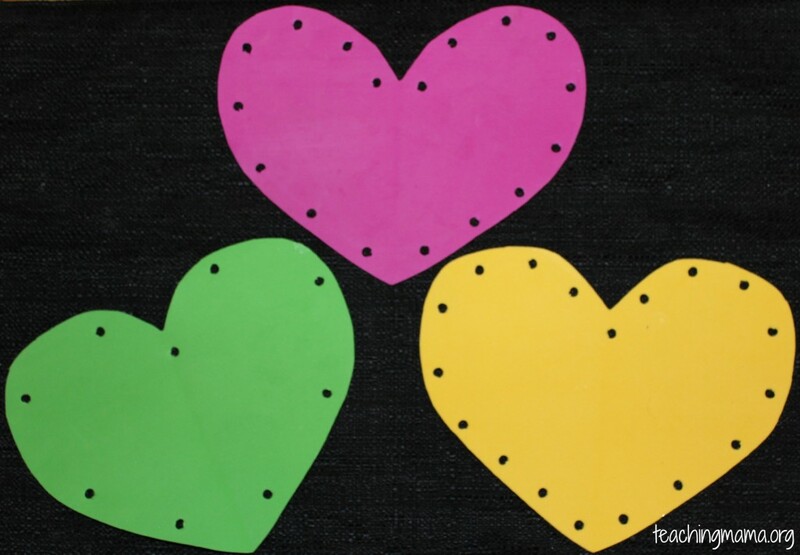 I made 3 varieties of hearts. The green one does not have many holes. The pink one has a moderate amount of holes. The yellow one is the hardest with many holes. I also did this when my sin was a preschooler and I used a shamrock for St Patricks day! Thanks for the idea! I am going to do this with my son 🙂 I just cut out my hearts out of foam squares. 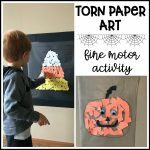 Thanks for linking up to the Fine motor Challenge last week! 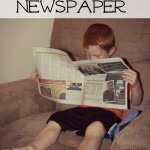 I’m really love with these printables and going to do this with my younger son Dimithri. Thank u soooooo much.